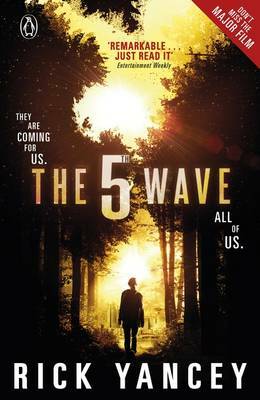 A film tie-in version of The 5th Wave, a novel that packs a punch on every page with hope and despair in equal measure alongside life and death. 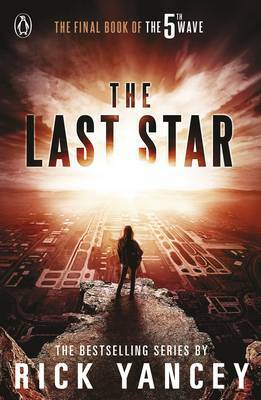 It will leave you gasping for breath and keep you hooked to the end and long after it'll be a book that makes you think. In a sentence it's The Passage meets The Hunger Games and it's now major film by Sony Pictures starring Chloe Grace Moretz (If I Stay). 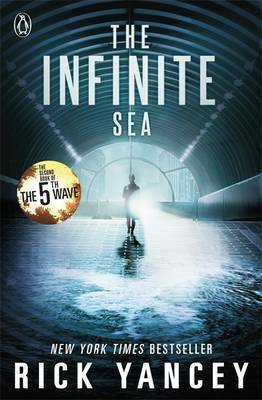 The 5th Wave is the award-winning and bestselling first book in an epic series from award-winning Rick Yancey that' s perfect for fans of The Hunger Games. The 3rd Wave: Lasted a little longer. Twelve weeks...Four billion dead. On a lonely stretch of highway, Cassie runs. Runs from the beings that only look human, who have scattered Earth's last survivors. To stay alone is to stay alive, until she meets Evan Walker. Beguiling and mysterious, Evan may be her only hope. Now Cassie must choose: between trust and despair, between defiance and surrender, between life and death. To give up or to get up.